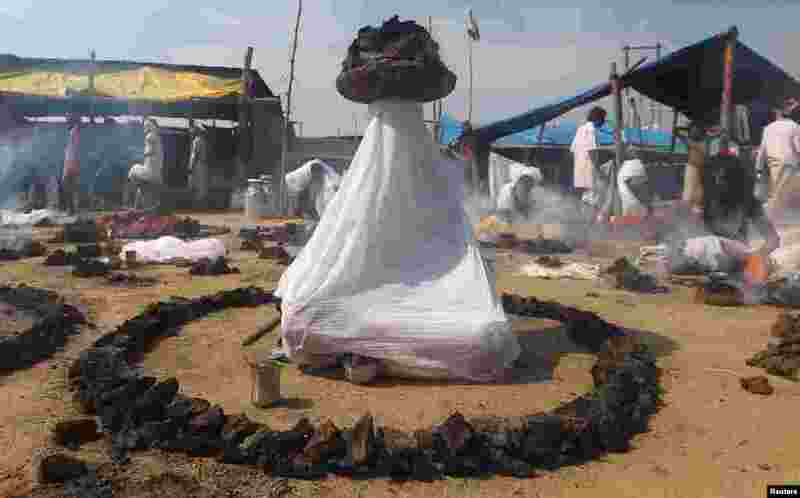 1 Sadhus or Hindu holy men offer prayers while sitting inside circles of burning "Upale" (or dried cow dung cakes) after taking a dip during the third "Shahi Snan" (grand bath) at "Kumbh Mela" or the Pitcher Festival, in Prayagraj, previously known as Allahabad, India. 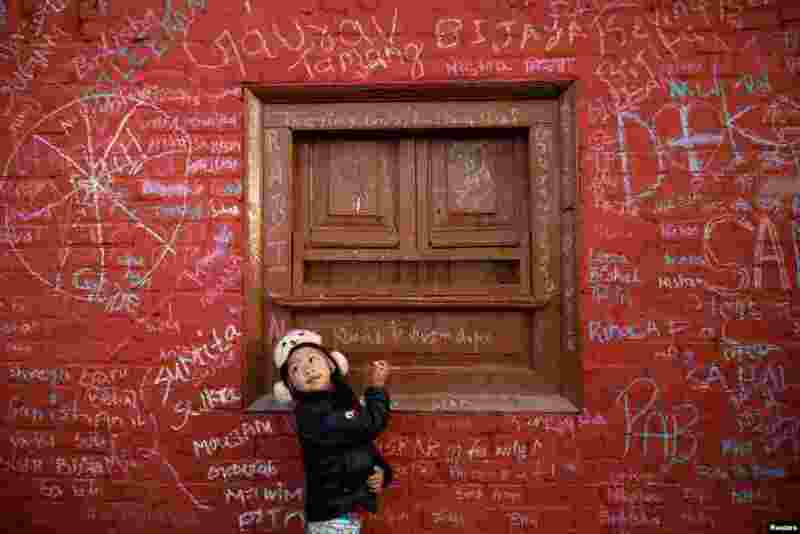 2 A girl writes on the wall of a Saraswati temple during the Shreepanchami festival dedicated to goddess of education Saraswati in belief that the goddess will help devotees excel in education, in Kathmandu, Nepal. 3 United States' Lindsey Vonn poses with her career's medals in the finish area after the women's downhill race, at the alpine ski World Championships in Are, Sweden. 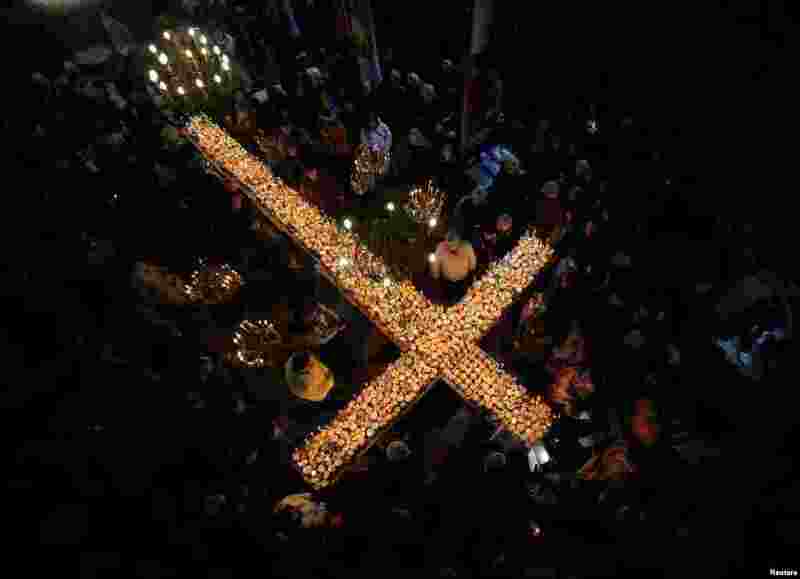 4 Worshipers gather around candles during a Mass to mark the day of Saint Haralampi, the Orthodox patron saint of beekeepers, in the church of the Presentation of the Blessed Virgin in Blagoevgrad, Bulgaria.